While Cleverley has endured a frustrating campaign due injuries, Welbeck has played a key role in the reds title defence; establishing himself as first choice to partner Wayne Rooney. 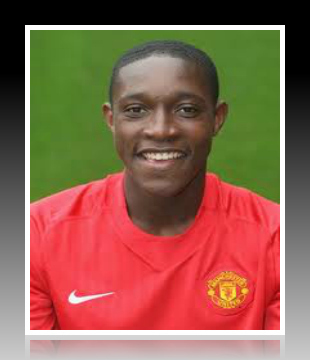 Ahead of Berbatov, Chicharito and Owen, Welbeck has made the starting line up in all the reds' big league games; against Spurs (h), Arsenal (h & a), Liverpool (h & a), Man City (h) and Chelsea (a). Only injury prevented him from starting the home game against Chelsea. From those games he has harvested 3 goals, the openers against both Spurs and Arsenal at home and the winner at the emirates. That is not to mention his fine strike against City in the FA cup. Overall he has 9 goals to date this season. The table below shows the head to head record between the top 5 teams this season. United have played six games against their rivals so far with Welbeck starting all but one. We have become accustomed to seeing United at the top of these mini-leagues in the Premiership era. Games against direct opponents have played a big part in United's success down the years. This season so far, United are going well once again. That Welbeck has started 5 of the 6 games says much about Fergie's faith in him. He has worked tirelessly every time he has been called upon; often making selfless runs to open space for teammates or closing down defenders. It is fitting that he has been rewarded with some vital goals. 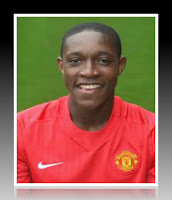 Welbeck's return of 3 goals from 5 games is exceptional, given the calibre of opposition in question. But it is not just his goal-scoring and work-rate that have been noteworthy; Welbeck has also created 4 chances, resulting in 1 goal and won a penalty over the course of his five games. In the context of big matches, the fact the he has been directly involved in 5 goals over 5 games is exceptional; or 4.3 games is we consider that a hamstring injury forced him off after 36 minutes in the home game against Arsenal. It is impressive stuff from a young man who will only get better and better.